Hello brethren. We hope you are all well in the Lord. We are fine here and serving the Lord, busy preparing for tomorrow. I collected the Bibles from Christian Books Worldwide on Wednesday. There were 35 copies – New King James version. With the bibles were 6 copies of different titles from Free Grace Broadcast, four small booklets about holiness and one copy of Amazing Grace. I was able to give to Class five children of Alpha Glory 19 copies during bible study lesson yesterday. Class six, seven and eight got their copies last term. 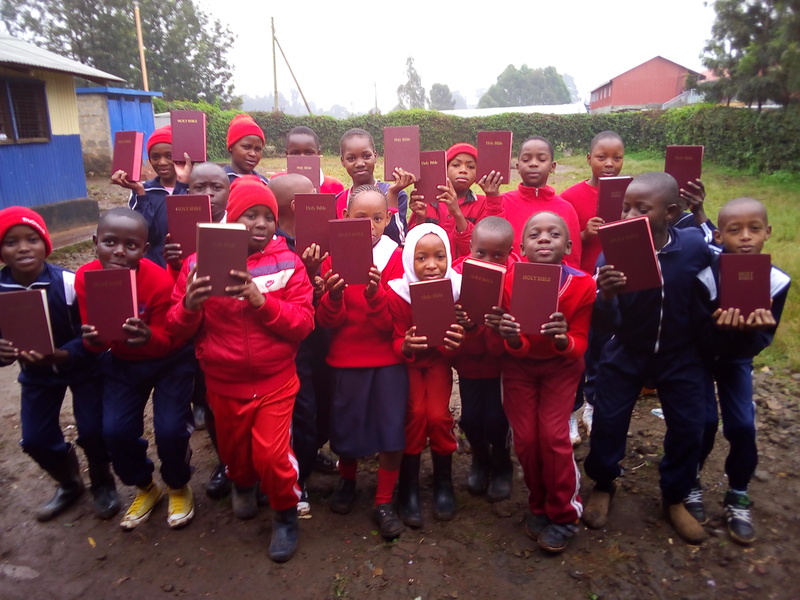 The children were very happy to receive the Bibles. We thank you brethren for your support for the Lord’s work in Kenya. May the Lord continue to enable you.